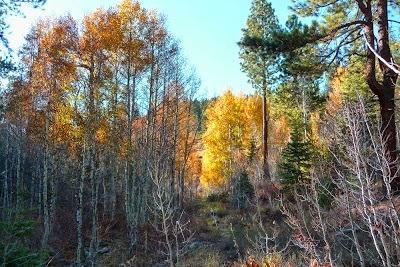 Aspen grove along Trout Creek. The Trout Creek Trail is a new paved bike trail from Northwoods. Blvd. to Truckee’s historic downtown, with a connection to the existing Pioneer Commercial Center Bikeway. The trail is being built in two phases with phase one construction underway at the north end of Bridge Street and ending on a dirt section of Euer Valley Road. Phase 2 will pave the dirt Euer Valley Road up to Northwoods Blvd. Trees have been cut down and heavy equipment is carving the hillside parallel to Trout Creek. The trail will consist of a trail bed 10-14 feet wide with 8-10 feet of paved surface. 1-2 feet of dirt shoulder will line both sides of the pavement. The new Trout Creek Trail will provide a safe and scenic connection between downtown and Tahoe Donner. 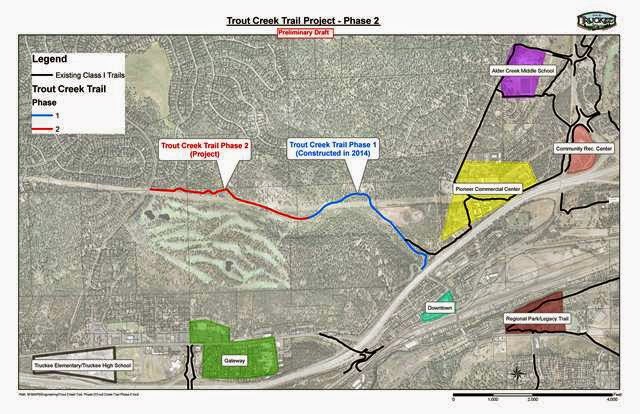 Trout Creek Trail phase 1 and 2. On this regard, you need to be quite sincere with yourself approximately how excellent you're when it comes to managing equipment and fencing device. if you are not as competent as you would love, there is no disgrace in it. Hiring an amazing contractor will make sure that you get an awesome fence put up as fast as possible and on price range more info.